The client’s experience and the quality of our product are of the utmost importance to us. That is why we chose to equip our hatcheries with the latest technology in the field. Our vast experiencein this area dictated the way. Whether it be for the reception of the eggs, the incubating period, the controls or handling, our processes are all integrated and follow the strictest standards. That is to say we opted for the most efficient production line available and have skilled workers manning all our stations. Our sanitary standards are extremely high and all our installations are brand new. 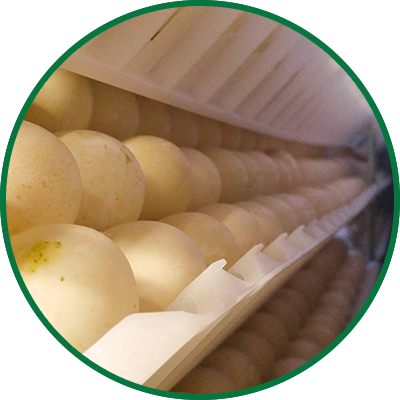 We have set up the best Mulard duck hatchery in North America with a single stage incubator. 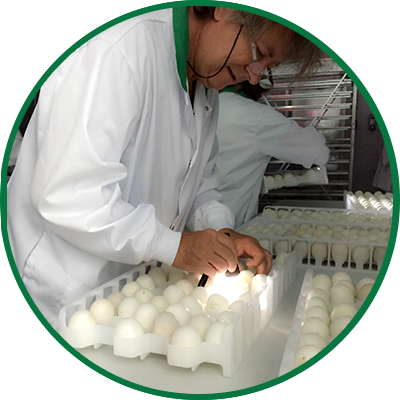 Before the single stage incubation system, eggs were placed progressively in the incubator. Hence the temperature produced by the developing eggs regulated the ambient temperature. We opted for a single stage incubator for many reasons. First, with the more diversified and adapted technology, we can now load all the eggs at once in the incubator. A sophisticated system then controls the temperature, humidity, ventilation and automated turning over of the eggs to optimize the incubator. Moreover, this type of incubation adapts to the egg and enables us to follow the embryo throughout its development. Finally, the single stage incubator is ideal as it permits to disinfect the whole system every month (between incubations) for maximum hygiene. At Couvoir CDM, we are extremely proud of our technological set-up. 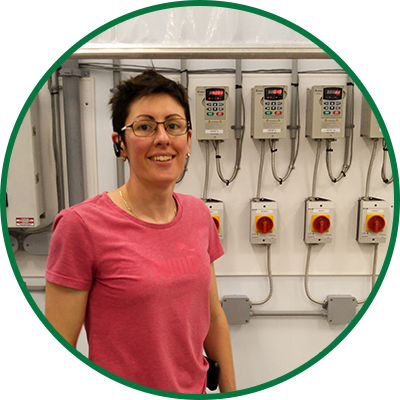 We are also quite proud of the skilled employees that work with us. Each candidate is carefully selected for their intellectual and manual capacities and their ability to work with a team. We are a technological business with a big heart. The human factor is present throughout our rapport with customers as well as with day to day contact with all our employees. We also offer a comprehensive after sale service to ensure the health of your animals.